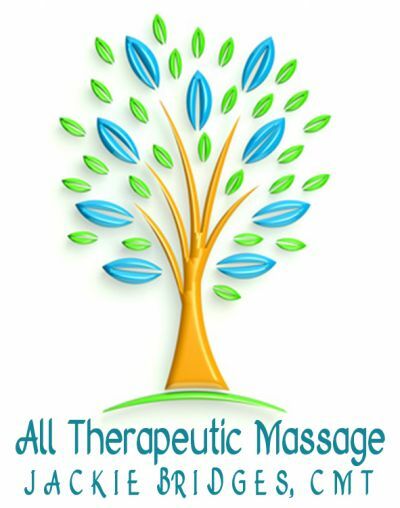 Welcome to All Therapeutic Massage with Jackie Bridges Steadman! If you’re looking for a professional massage therapist, you’ve come to the right place. I studied at American Institute of Massage, Inc. in Henrico, Virginia. It's an accredited 600 hr massage program with emphasis on anatomy and hands on training. After graduating I received certification though the National Certification Board for Therapeutic Massage and Bodywork, and am licensed through the Virginia Board of Nursing. You can click on the "Massage Treatments" page to learn more about the various techniques I use in my work. I conveniently offer online booking, or feel free to call or email to set up your massage session. Thanks for visiting! I look forward to working with you soon and hope you have a great day!